Doing food tours is one of my absolute favourite things to do when travelling, and you bet I did one in New York! I had heard such great things about Foods of New York tours and I couldn't wait to try some of the very best food on offer from their original Greenwich Village tour. This is a food and culture walking tour in the historic west village of Greenwich, an old Italian neighbourhood. As you can imagine, there are some amazing food establishments here and we were taken around the charming neighbourhood to their favourite Mom and Pop restaurants and speciality food shops. Read on to find out what mouth-watering Italian-themed cuisine we tried and why you should totally do one of their tours too if you're coming to New York. Our group met inside Murray's Cheese shop, an easy to find location in the heart of Greenwich. We were warmly greeted by our guide Marie who handed us each a bottle of water and information about the tour. Once all of our party had arrived (a small group of around 12), Marie introduced herself and told us some interesting history of the 18-year-old Foods of New York company and what to expect from our upcoming tour. We had 8 delicious stops ahead of us in total, beginning at the famous Joe's Pizza for their classic New York slice. Established in 1975 by Joe who is originally from Naples, Joe's Pizza is now a "Greenwich Village institution" and is extremely popular with locals and tourists alike. It tasted like true authentic Italian pizza (my fave) and I rate it very highly. After a mouth-watering slice, the tour was off to a fantastic start. Next up, we went to nearby Oliviers & Co, a boutique store specialising in gourmet Mediterranean products. We began with a tasting of their basil-infused extra virgin olive oil on Tuscan bread which had an incredibly delightful flavour. We were then presented with a cup of Truffle popcorn each - which was outstanding! It was so moreish, I could have kept eating that forever. Thirdly, the lovely shop owner gave us a lesson on how to tell the difference between true aged balsamic vinegar. We tried two kinds of theirs, one of which was aged 8 years. Our next foodie stop was at Faicco's Italian Specialties - the oldest establishment in the neighbourhood that's been there for over 100 years. We got to try the most popular item on their menu - Sicilian Rice Balls as well as a tasting of their Italian salami. Rice balls, or Arancini, originating in Sicily, are balls of rice that are coated with breadcrumbs and fried. Inside was a mixture of rice and cheese and it was so creamy and delicious - the best I've ever tried in my life! The salami, too, was top-notch. We then had a little break from eating and Marie showed us some points of interest around the neighbourhood. We were taken inside a beautiful restaurant Palma that has a secret back dining room. We were told some very famous politicians and celebrities often dine here, including the Rolling Stones. Next up, we had our first seated tasting at Trattoria Pesce Pasta. We were each presented with a lovely plate with an eye-poppingly large Italian meatball with sauce. The meatball was tender and the sauce tangy and delicious. The grated parmesan cheese was the perfect addition and it was a delightful tasting in the classic looking restaurant specialising in Northern Italian cuisine. Our next foodie stop was another seated tasting at Rafele Ristorante, and we had twenty minutes to enjoy the food and order a beverage if we pleased. I ordered a cappuccino which was very good and enjoyed it with a great view of the chef working in front of the wood burner. We were presented with a plate of Eggplant Rollatini and freshly baked focaccia bread. The Rollatini was creamy and cooked to perfection and the bread was springy and full of flavour. Feeling a tad full now, I was glad we were off for a little walk again. We stopped by a few notable buildings before heading to a spot I was so happy about - the famous Friends building! Being a big fan of the show and being in Greenwich, I was planning on finding this spot after the tour. Those of us who wanted one got their photos before heading to the next stop. Milk & Cookies Bakery was our next visit and we each got one of their large Chocolate Chip Cookies, still hot from the oven. I couldn't even save it for later, once I had a bite I had to keep eating it all - it was so good! We went back to where we first met at Murray's Cheese shop where we tried a selection of different cheeses including cow, sheep and goat. They were accompanied with apricots and cheese puff bites which complimented the cheese tastings very well. The cheese shop is foodie heaven offering an abundance of fine cheeses plus bread, cured meats, olives & other deli items. I would be in there all the time if I lived nearby! Our final stop of the day was at Rocco's Pasticceria where we had a fresh-filled Cannoli. I'm glad it was small because I was quite full by then but it was lovely and sweet and the perfect way to finish off the tour. I was incredibly impressed by the amount of high-quality food we tried and there was a good amount of walking to balance it out. It was such a fantastic tour and each and every stop was well-thought out and delicious. I couldn't recommend this tour enough, I had such a great time in Greenwich Village, eating my way around the best foodie spots in the neighbourhood. We learned so much about the history and culture of Greenwich and what makes it so unique from the rest of New York. I loved the variety of tastings we tried and it was amazing value for how much you get. You certainly don't need to eat breakfast or even dinner after such a substantial tour. Our guide Marie was very friendly and a fantastic guide. She gave us great recommendations for other places to eat in the area as well. Foods of New York also offer many other neighbourhood food tours, including in Chelsea, Chinatown, Little Italy, Brooklyn and more. I would definitely love to do all of them when I get a chance. Their tours are perfect for any type of visitor and locals alike, from families, couples and friends to solo travellers like me. Vegetarian and gluten-free are easily accommodated on their tours, just let them know when booking. I thoroughly enjoyed the food tour, it was one of my top highlights from my time in New York. As my recent trip to New York was my first time there, I wanted to do this iconic city justice in the short amount of time I had. There are so many attractions and sights to see and I didn't want to miss a single one. I researched some of the top rated tours and came across New York Tour 1, which sounded perfect for my style of travel. In a small group, you are taken by an expert guide around some of the best attractions of New York all by local transport. You see it the way true New Yorkers do, by walking, taking the subway and ferry. This appealed to me very much as I love exploring a new city this way and you get to avoid losing time by being stuck in traffic. I booked the tour for my first full day there and the meeting point was in an easy to spot location, by the statue of George M. Cohan in the middle of Times Square. Our tour guide for the day, Tom, began by telling us some super interesting history of Times Square and how the once humble horse-trading district became the Entertainment Capital of the World. We passed by the Diamond District before heading underground towards the Rockefeller Centre. This was a super handy walkway that we learned about that I used a few times after the tour. We had a quick restroom break (I grabbed a coffee) before passing by the famous ice skating rink where we learned more fascinating history. Across the road was St. Patrick's Cathedral - a stunning Neo-Gothic-style Roman Catholic church and the largest in New York. We got to go inside and marvel at the decor. We continued walking on this lovely sunny day, up Fifth Avenue. Along the way, Tom would point things out and give us super handy tips like the entire 8th floor of Saks Fifth Avenue is dedicated to shoes (totally went there another day). We saw the Empire State Building in the distance and stopped to look at the impressive New York Public Library before turning towards the Grand Central Terminal. We also learnt a bit about the Chrysler Building we could see nearby before heading inside one of the most famous transportation hubs in the world. I've seen Grand Central Terminal so many times onscreen and it was truly marvellous to be there and feel the energy. Tom told us some really interesting stories and took a group photo (find it at the end of this post). We had another quick break before meeting back up to catch the subway to our next destination. Tom showed us newbies how easy it was and we caught the line downtown to Bowling Green near Battery Park. We stopped at Stone Street where there was an abundance of great food choices to have for lunch. We were given a whole hour break, which I personally thought was a bit long but that's probably because I was by myself. I'm a twenty-minute max kind of lunch-eater so after some sushi, I killed the rest of the time by drinking a very nice German beer in a pub. Win-win. Next, it was time to catch the return ferry to Staten Island. I was most excited to see the New York City skyline and the Statue of Liberty. Tom knew the best spot for us on the ferry and we had the best views all the way there and back. It was a 25-minute ride each way but with more stories and the stunning sights, the time went super quick. Next up, we passed by the famous Charging Bull (which was so crowded it wasn't worth taking a photo of). We walked up Broadway and stopped at Wall Street and learned about the area famous for the New York Stock Exchange. Our final stop of the day was at the 9/11 Memorial and One World Trade Center. We visited the two memorial pools where the buildings once were and heard some very moving stories including about the Survivor Tree. It is a very sombre and sad place but a beautiful tribute and important to remember and pay respects. We went inside the Oculus, a uniquely designed transportation centre and shopping mall in one. It was here that we finished up our tour with Tom, I couldn't believe six hours had passed by so quickly. We had the option to upgrade our tickets to include entrance to the One World Observatory, which I did. Construction of the new building first began in 2006 and the Observatory was opened in 2015. It is now the tallest building in the Western world. The elevator to the top rises 1,250 feet in 60 seconds and the end reveal is a very impressive experience. The panoramic observation deck on the 100th floor has incredible 360 views stretching all across Manhattan. Seeing New York from above was one of my top highlights from my time there so I really recommend getting that extra upgrade. It was a fantastic way to finish off the tour and an already superb day. I loved the tour and had such a great time seeing so many iconic sights and learning so much along the way. This tour is the perfect way for first-timers to be introduced to New York. From start to finish, the tour is extremely well thought-out and executed to maximise your time and enjoyment. It's a fantastic way to learn your way around and you get to see and feel the real energy of the city. Our guide Tom was very friendly and easygoing and had a wealth of knowledge to share. As well as history and local stories, he gave us plenty of recommendations for the best things to do and even top places to eat. This tour is perfect for all types of visitors, from families with children to groups of friends or solo like me. Everyone that's comfortable being on their feet for a few hours would thoroughly enjoy it. You see so many top attractions, learn a lot of history and get insiders tips. They also offer a range of other tours including custom and private, Statue of Liberty tours, 9/11 Memorial and Wall Street tours and specific neighbourhood tours. My first day in New York was one of my favourite days thanks to New York Tour 1 - I couldn't recommend them highly enough! I've been home from North America for six weeks already (where did the time go??) and I still have so much to write about and share from my latest adventure. Since it was my first time experiencing the States and Canada and I did some pretty fun things in quite a few places, I thought I would share my top ten best experiences. If you didn't know, I am a huuuge Harry Potter fan (mostly of the books) and I have been lusting to see Harry Potter and the Cursed Child Play since it first started in London. When I heard it was coming to New York on Broadway and it just happened to be when I was going to be there too - I just knew I was destined to see it. The tickets were released on a lottery type ballad system and luckily - it was meant to be. After much trial, I got through and paid a bomb and a half for them but it was worth every. single. penny. It was SO incredible, both parts one and two will forever stand out as the greatest shows of my life (and I've seen a few major ones). If you are a fan and you have the chance to see it, definitely do. Speaking of New York, this city has been at the top of my Bucket List for many years and it was a literal dream come true to be there. Walking around Central Park, seeing Times Square by night, eating hotdogs and pizza, walking the Brooklyn Bridge, seeing the incredible views from the tallest building in the Northern Hemisphere - it was such a great experience and lived up to my very high expectations. New York has such a great vibe to it, an energy like no other. I enjoyed every second of my time there. One week was by far not enough and I can't wait to go back and explore more of this iconic city. Vegas was another of those incredible places seen through a screen that I've always wanted to visit. I'm not a gambler at all but I do love the bright lights and city life. Las Vegas was the epitome of cool. I was so impressed by the stylish and sleek hotels, the unique and lush decor, the fact that The Strip was actually clean and an enjoyable place to walk around. I had such a great experience there enjoying a foodie tour, exploring the lavish casinos, doing a nearby e-bike tour of the Red Rock Canyon and seeing a fabulous Cirque du Soleil show 'O' at the Bellagio - which I highly recommend! Another city that lived up to my expectations, I can't wait to return to Las Vegas for more fun some day. This day trip was taken from Las Vegas but deserved a whole point to itself - seeing the Grand Canyon with my own eyes was another huge Bucket List tick. I did a 12-hour West Rim tour with Grand Canyon Destinations which I highly recommend. It included a stop at Hoover Dam, a nice lunch and snacks, hotel pickup and dropoff and over 4 hours at the Grand Canyon to fully enjoy it. The pictures just don't do it justice, seeing it in real life is simply amazing. I would love to save up and do a helicopter tour over it next time - that would be so epic! I had such a blast in Canada - spending time with old friends and experiencing the last of the winter snow. They so kindly took time off work to show me around their capital city. We tried Beaver Tails, walked around Parliament Hill, the town centre, had Poutine (omg YUM) and visited the Museum of Nature. I went crazy over all of the moose souvenirs and maple syrup related things. I also really enjoyed spending time at their home, where their street still looked like a beautiful snowy Christmas card. We took some very nice walks in the woods nearby trying to spot some wildlife. We did see a very large owl and some coyote droppings. In Los Angeles, I had the opportunity to do a full day private tour with We Love LA around all of the main city highlights. Even though it rained for 90% of the day and I missed out on seeing the Hollywood sign and Bowl overlook, it was still one of the best tours I've done. We went to some really iconic spots including Venice Beach, Santa Monica Pier, Beverly Hills, The Grove, Hollywood Walk of Fame and so much more. It was such a fantastic way to see all of these hot spots in one day and I highly recommend it for LA first-timers like myself. Aside from eating aaall the pizza, the main reason I went to Chicago was to spend St. Patrick's Day there! Ever since I first learned they dye their river green, it was added to my travel list. (I have Irish heritage and I love celebrating March 17th). It was a hectic day to say the least, sooo many people and drunk idiots even at midday. But I still loved it and seeing that green river was worth coming here for! Of course, being the third largest city in the US, there is so much more to do as well. I spent four nights in Chicago and really enjoyed my time there. What made my St Patrick's Day even more special was my friend Isabel who lives in Wisconsin drove all the way there and back in one day just to see me! We got to hang out, have some obligatory green drinks and Irish whisky and it was such an amazing time. I visited my friends in Ottawa who currently live there, but they are actually from Quebec City and said I had to visit there too or my time in Canada just wouldn't be complete. I only had a short amount of time unfortunately so we were only able to spend one night there and it was a 5 hour drive each way... and it was SO worth it! Quebec City completely charmed me and it felt like a slice of Paris and Prague. The coolest factor was that through connections we got to stay at The Citadel - an active military installation, historical fortress and official residence of both the Canadian monarch and the Governor General of Canada. Pretty dang cool if you ask me! We left very early so we got to spend most of a full day exploring the Old Town. I loved the quaint cobblestone streets and cute shops, the Château Frontenac, trying Maple Taffy and the French influence everywhere. Again, seeing the city covered in snow was such a novelty, but I heard it's even more beautiful in Autumn. Another place I can't wait to return to for longer next time! This was pretty much the only reason why I went to Orlando and it was very cool to experience. The only thing I didn't enjoy so much was the crowds. It just happened to be Spring Break while I was there (nightmare) and even though I arrived before opening, there were just far too many people to fully enjoy it. I spent a good 8 hours at Universal Studios and only managed to get on three rides... and one I was lucky enough to go straight on because I was a single rider. That's how long the lines were (over two hours). For how horrifically expensive it is to be there, it was a bit annoying but nevertheless, it was still a good time. I loved the two Harry Potter-themed parks and the Hogwarts Express ride between each one. The Butterbeer was delicious (the Pumpkin Juice not so much!). I also really enjoyed the Jurassic Park section, The Hulk rollercoaster ride (worth the wait) and the Voodoo Doughnut shop (delicious). Growing up with Disney movies, going to Disneyland was another of those places I've dreamed of since I was young. It rained for the first half of the day but then luckily the sun came out! The only day I could go was during the weekend, which again, was extremely crowded. Still a fun time of course at the happiest place on earth. My favourite was the Space Mountain ride and I enjoyed the Indiana Jones ride too. I even went on a carousel pony ride because, why not? I highly recommend trying the Pineapple Dole Whip - so delicious and refreshing! I had a great time at Disneyland but did think it was more of a children's/family place. Very glad to have ticked it off though. Those were my top ten highlights from my recent adventure in North America. It was a fantastic trip and I'm very grateful for the memorable experiences I had in the States and Canada. Keep your eyes peeled for plenty more travel guides and tips coming soon. Being a Kiwi, it was about time to write a bit about my own country - New Zealand! I am planning on writing plenty of in-depth travel guides on the top cities to visit, such as Auckland, Wellington and Queenstown, as well as a Lord of the Rings/Middle Earth post - being such a huge fan myself it's inevitable. This travel guide is an introduction and a brief overview for fellow travellers wanting to head to New Zealand for the first time. For best things to do check out my post on 20 Must-do's in New Zealand. It's not the same as Australia! Yes, people get us confused all the time and many think that we are a part of Australia (we're not). Many also can't tell the difference between a Kiwi and Aussie accent (there's a big difference!). Our countries overall are very different. New Zealand's North Island is mostly pretty warm with nice beaches (sadly not as warm as Australia), while the scenery in the South Island more resembles Ireland (thanks to lashings of rain) or Canada in the Alpine regions. Australia... is more than 28 times bigger than New Zealand! And you might hear about Australians a lot more - that's because there's 24 million of them, whereas there are only 4 million Kiwis. 70% of Australia is classed as a desert, so though there can be some small similarities between our countries' landscapes in certain places, the differences are a lot more. Those are just the beginnings of the many contrasts between our countries, but just know it's comparable to calling America and Canada the same, or China and Japan. We may be at the bottom of the world but New Zealand is a wonderful country to visit and definitely worth travelling that far for. After exploring the world so far away for the first time - I came back and saw my country with whole new eyes. I grew up here, so I always thought New Zealand was - well, boring. There's nothing old and historical here and it's so far from everywhere else. Not that I didn't appreciate the stunning beauty of it - Queenstown when I saw it for the first time especially took my breath away. I just mean, this is where I grew up and camping, bushwalks, going to the snow, road trips, beaches - were all a part of everyday life and I thought that was normal. Little did I realise our small country was such a gem, because it had all these things - packed into one. Everywhere you go in New Zealand you're not far from stunning and picturesque landscapes. Our country really is a natural beauty with everything ranging from snow-capped mountains to white sandy beaches, native bush and forests, fresh springs and mud pools. From any point in New Zealand, you are no further than 130 kilometres from the sea. It's no wonder why I am so attracted to water and I simply can't imagine those who have to travel hundreds and hundreds of miles to even see water. I now know, since embarking on my travels and as amazing as this world is, there is nowhere quite like New Zealand and I am really appreciative and proud to be a Kiwi. Perhaps when you think of New Zealand a few images may spring to mind - the Lord of the Rings trilogy, the All Blacks (our excellent rugby team), Sauvignon Blanc from Marlborough (our biggest selling white wine) and lots and lots of sheep. These are all quite fair images but there's a whole lot more to our country than just that! Firstly, many people may wonder: which is better to travel to - the North or the South Island? I would absolutely say both because they are so different to each other and you can't really get a full 'New Zealand' experience doing just one. If you have the time I would recommend starting from the top of the North and work your way down South. The best way to travel New Zealand is by vehicle, whether a car, bus or campervan, as nature and beauty surrounds you everywhere. The varying landscapes are so different and interesting to see all throughout the country and travelling by land is the best way to see this. You can easily hire a car or campervan, or an affordable bus line that I've used many times is Intercity Coachlines. There are many different tour companies offering Hop on Hop off style bus tours such a Stray Travel, Kiwi Experience and package tours like Wild Kiwi, Contiki and Intrepid. If you're from North America, New Zealand Vacations are a leading company with excellent customised vacation packages. They are New Zealand travel experts who can help you create your own dream self-driving itineraries. They offer constant support, experience and the best prices with local tourism operators. You can also pick up internal flights relatively cheap enough if you book in advance. Our two main flight carriers are Air New Zealand and Jet Star. There are plenty of campgrounds in most places which is an affordable way to travel in New Zealand. You can book your own cabin, pitch a tent, park a camper van or even your car and use the facilities. My family travelled around New Zealand this way when we were growing up. Every couple of years in the summer holidays we would either go down south or right up north. Campgrounds are safe, usually in very good locations (on the lake, near the beach or city centre), basic but have everything you need - a big communal kitchen you can use, toilets and showers and often games and playgrounds for children. There is, of course, Airbnb, plenty of budget hostels, motels and hotels - it all depends on your preferred style of travel and your budget. New Zealand is great year round but the very best time to visit is during summer. This way you can enjoy swimming, camping, better weather and warm temperatures. Our warmest months are December, January and February. Any time between October and April is also great. Travelling in winter, if you don't mind the cold, is also very beautiful. The mountains are covered in snow and you can enjoy our awesome ski fields in both the North and South Island. The biggest decision to make is deciding where to go! If you have the time I would say, go to as many places as you can. The North Island is a great place to start, with Auckland being our biggest international airport. In the north, it is a lot warmer, with nicer beaches, more unique geothermal characteristics and Maori culture. If you're a city dweller then you will love Auckland. It is New Zealand's largest and most populous city with over one-third of the population living there (over 1 million people). Auckland is based around two large harbours and is known as 'the City of Sails'. Centred in the middle is the iconic Sky Tower - our countries' tallest structure that you can go up for stunning panoramic views of the city or even bungy jump off. 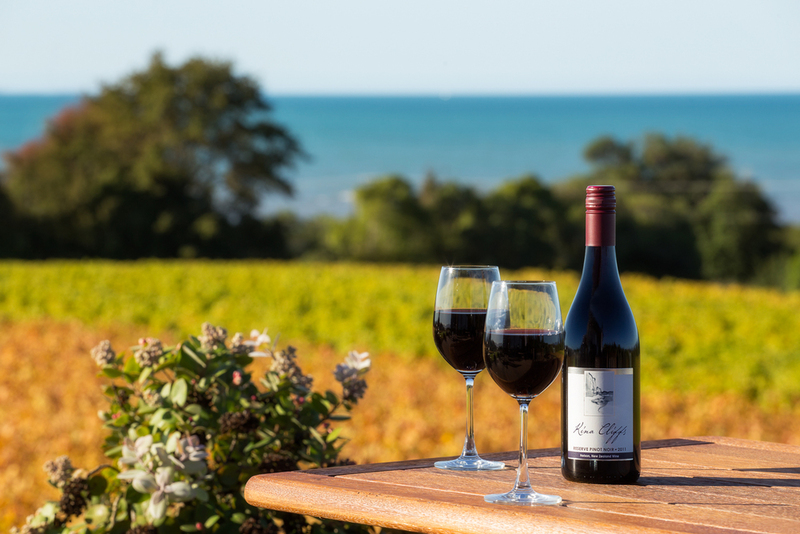 You can visit Waiheke Island - famous for its vineyards and wine-tasting. Auckland is dotted with many beaches and large parks and is home to plenty of great food, art, culture and museums. The Coromandel Peninsula is one of the most popular areas for Kiwis and tourists alike to visit during summer. The golden coastline with white sandy beaches, native forests and a laid-back vibe make Coromandel one of the best-loved holiday destinations in New Zealand. The towns are small and quiet making it a great place to get away and unwind at the beach. There are plenty of great bush walks, glow worm caves and even a Hot Water Beach where you can dig your own hot pool at low tide. Make sure to see Cathedral Cove while you're there too, a famous picturesque cave. I thought I should mention at least one hotspot for Lord of the Rings fans out there! Matamata is a small country town that you can take as a day-trip from Auckland or Tauranga and Rotorua - it is less than a couple of hours away from each of those places. Hobbiton is simply spectacular and a must-do if you're a fan, and even if you're not - my partner, for example, was surprised at how much he enjoyed the trip when I made him go with me. You get taken around the whole area which is surprisingly large and immaculately maintained, and you finish off in The Green Dragon pub for a complimentary 'Hobbity' ale or cider. It's a great way to spend a couple of hours and I highly recommend it. Check out my Guide to visiting Hobbiton for more info. Tauranga and Mount Maunganui is a great place to visit especially in the summer. There is a beautiful beach, large harbour and mountain (Mount Maunganui) that is half on land, half in water that you can walk around or climb to the top for stunning views. I grew up in Tauranga and though there isn't that much to do activities-wise, it is a great destination because of the large white sandy beach and it's a popular spot for surfers. Rotorua is one of New Zealand's most popular places for tourists to visit. Only a 50-minute drive from Tauranga, Rotorua offers plenty of fun activities such as luging, zorbing, cultural Maori village experiences and shows, wildlife parks, hot pools, geothermal attractions such as Wai-O-Tapu and many more. Taupo for New Zealanders is usually a stop-over place as you drive through, whether you're going North from there to Auckland or South from there to Wellington for example. It does offer some nice tourist attractions though and can be a good place to stop for a night or two. It's home to the great Lake Taupo - Australasia's largest lake, plenty of geothermal activity walks, bungy jumping, the beautiful Huka Falls waterfall, great cafes and more. Less than one and a half hours drive south from Taupo is Tongariro National Park - New Zealand's oldest national park and a dual World Heritage site. Here, nestled between ancient native forests and desert landscapes are three impressive volcanoes; Tongariro, Ngauruhoe and Ruapehu. Mount Ruapehu is the North's only place to ski and offers two excellent ski fields on the active volcano, Whakapapa and Turoa. Treking the Tongariro Alpine Crossing is one of the world's greatest hikes and a must-do if you have the time. Wellington is the capital city of New Zealand and is commonly known as 'the smallest capital in the world.' Many people wonder why Wellington is the capital when it is home to around only 200,000 people, whereas Auckland has over a million. That's just where our parliament is centred and I think it's a pretty cool capital in my opinion. I lived in Wellington for 4 years before jetting off overseas and I enjoyed living there (it's a lot more exciting that Tauranga and way less busy than Auckland). The one thing I didn't like so much was the weather. 'Windy Wellington' it is also commonly known as - was recently proved to be the windiest city in the world! Home to Sir Peter Jackson, this is the base where The Lord of the Rings trilogy was filmed and there are plenty of attractions around Wellington where you can visit and see locations such as the Weta Cave. (Stay tuned for a more in-depth post about LOTR tourism in NZ coming soon!). The South Island is home to only one-quarter of the population in New Zealand - so as you can imagine, it's a lot more quiet and peaceful. There is a different sense to this island, there are wide open spaces with the enormous mountainous spine running through the middle of it (the Southern Alps). It's a great opportunity to get away from it all. Nelson is the sunniest region in New Zealand, located at the top of the South Island. If you are travelling by car and have crossed the Cook Strait by ferry, it's a great place to stop over. It's known for its local arts and crafts stores and art galleries. It's also a popular base for nearby caving sights, vineyards and Abel Tasman National Park - a famous protected area with stunning coastal hiking trails and great kayaking spots. Nelson has it all with golden sandy beaches, untouched forests, rugged mountains and a great summery holiday feeling about the town. Kaikoura is a small but scenic town located on the East Coast of the South Island. It is hugged by beautiful snow-capped mountains and its special attraction is mammal encounters - whales, fur seals and dolphins live permanently in the coastal waters. Whale watching trips leave the town several times a day with a great sighting success rate, you can swim with the dolphins and the local seal colony is always entertaining. Kaikoura is a great place to stop if you are driving from Blenheim to Christchurch or vice versa. Guest paragraph: Juliette from Snorkels to Snow has kindly offered to write a piece for Christchurch. Her blog is amazing and you should definitely check it out. Christchurch is still “home” to me - despite the tragedy which struck in 2011. It’s taken a long time for the city to get back up on its feet - but the rebuild has made way for some great new concepts. The Re:Start Mall in the central city is a fun, vibrant shopping area with a great cafe scene. The best bit - all the shops are made out of colourful shipping containers! It breathed new life into the city after such a tragic event and has continued to be a hot spot for locals and tourists alike. There are a number of lively bars which have opened up since the earthquake including Engineers Bar, the city’s only rooftop bar - a great spot to spend a balmy Canterbury evening. Walking through the Christchurch CBD, you will still see many empty lots where buildings once stood, the ruins of the damaged Christchurch Cathedral and memorial sites such as at the former CTV building, which had the highest loss of life. It’s sobering seeing this first hand but it is also an important reminder of why this city needs tourism to help get it back on its feet. Further out of Christchurch city you can explore all of Banks Peninsula - catch a ferry from Lyttelton to Diamond Harbour and enjoy the beautiful walks and hikes in the area while listening to native birdsong. For a taste of France, head to Akaroa - the tiny French settlement on the peninsula about 90 minutes’ drive from Christchurch. Rebuilding a city takes time, but there’s still plenty to see and do in Christchurch - and it needs tourist dollars to help it grow into a stronger, colourful city of the future. The West Coast is one of the more remote and sparsely populated areas - it seems like a million miles from civilisation, but it offers some of New Zealand's most wild and natural beauty and landscapes. There are countless opportunities for hiking and mountaineering in the South Island, and the West Coast is a great base for that. Close by you have Mount Aspiring National Park, Mount Cook, Fox Glacier and Franz Josef Glacier. Some great little towns to stay on the West Coast include Hokitika, Greymouth and Westport. There are many activities on offer such as glacier walks, jet boating, kayaking, old mining towns and of course the rugged beaches and stretch of coastline. When people ask me where to go in New Zealand I say you have to go to Queenstown! It is my favourite place in New Zealand and it is absolutely magical. It reminds me of a slice of Switzerland. For much of the year, the surrounding Alps are snow-capped and the lake is a stunning mixture of blues. Queenstown is known as the 'adventure capital of New Zealand.' It is home to bungy jumping, jet boating, paragliding, white water rafting, luging, you name it. You can find these activities all throughout the country but everything is here compacted into one small town. The scenery is simply incredible. In winter the whole town turns into a winter wonderland, the streets are filled with snow, the ski fields are the best in New Zealand, it's like a ski resort town in Canada. From Queenstown, you can take many day-trips or overnighters to other great nearby places such as Wanaka, Te Anau, Glenorchy, Fiordland National Park where you can cruise through the Milford Sound and many more. As well as Bungy jumping! I jumped off this ledge! The incredible view from Roy's Peak overlooking Lake Wanaka is what dreams are made of. Of course, there is so much more to New Zealand that just what I've mentioned, I have merely given quite a brief overview of many of the top places to visit. There are plenty of other lovely places I haven't mentioned such as Russel and Bay of Islands, Waitomo Caves, Napier, Hamner Springs, Dunedin, Invercargill and so on. There certainly is a lot to see and do packed into one small country. I put together a rough map of the places I have mentioned so you can see where they are located on each island. I hope that I've given you some insight into my lovely home country. Feel free to leave me a comment if you want to add anything or ask any questions. For more ideas on what to do head to my post on 20 Must-Do's in New Zealand and stay tuned for plenty more New Zealand posts heading your way soon. Follow me on Instagram to keep up to date with all my latest travels and wanderings. * Please note this guide was originally created two years ago and has since been updated and republished. 1. To experience St. Patrick's Day in Chicago and see the famous green river (it was truly spectacular). 2. To eat aaall the pizza. Pizza has to be one of my all-time favourite foods (which is saying a lot) and I was incredibly excited to try all the different kinds in Chicago, including the famous deep-dish pizza. Typically, I researched to see if there were any good tours that would take me around to all of the best pizza spots and lo and behold - there was! Chicago Pizza Tours were exactly what I was looking for and they had excellent reviews. It was a match made in heaven. Read on to find out what delicious pizzas we tried all over Chicago and why you should 100% do this tour too if you're visiting the third largest city in America. I chose their original pizza tour (they also do one paired with cocktails) which is a daytime bus guided tour around to some of the most significant pizzerias in Chicago. There were five different styles of pizza to try in four neighbourhoods; naturally, I didn't have breakfast. Our meeting point and first tasting of the day was downtown at Pizano's Pizza & Pasta. It is claimed to be the best pizza in Chicago and even the likes of Oprah Winfrey and Bill Clinton say it's their favourite. We had several tables for us reserved downstairs and the restaurant had a very nice and cosy atmosphere. We had a full group of about twenty people - clearly a popular tour. Our guide for the day Danny introduced himself and began with some tour information. He said every place we were going to was chosen because of how different each style of pizza is from each other - so we get to try a really good range. He also told us we would eat about 2.5 pounds of pizza per person on this tour (he wasn't kidding!). While our pizza was being made fresh for us, we learned some important facts like how thin crust is actually the most popular pizza in Chicago - three times more so than deep-dish. Our first tastings arrived and we were presented with two smaller slices of thin crust and one larger deep-dish. The thin crusts were one mushroom, one pepperoni and they were both outstanding and full of flavour. The deep-dish was sausage and the toppings and mozzarella cheese were absolutely delicious, but I definitely preferred the thin crusts. I'm not a crust fan personally, and I found the deep-dish to be a bit too thick and crunchy. Great start to the tour though and we went back upstairs where outside our own personal minibus and driver Jonathan was waiting. We all fitted comfortably onboard and were off to our next destination. We drove south to Flo & Santos, a Polish-Italian restaurant, pub and pizzeria. As we found out, Chicago is the biggest Polish-speaking city in the world outside of Warsaw. There was a really cool casual and industrial style setting inside and we sat at long tables. With some great local beers on tap, we had the option of ordering a beverage if we pleased. (Every stop also always came with plenty of water). While our pizzas were being prepared we learned the history of how pizza came to be so popular in the United States (they eat 60% of the world's pizza!). Here we got to try three types of thin crust. The first was Polish sausage which was my favourite, it was so tasty! The second one was Italian beef, which was also very good. The flavours of both were incredible and (spoiler alert) they ended up being my top picks of the day. Third, we were very spoiled and got to try their special dessert Smores pizza. It was very indulgent and nice to mix things up and have something sweet. I really enjoyed the atmospher of Flo & Santo's and I would definitely be a regular if I lived in Chicago. Pizza and pierogis? Yes please. Next up we had a 25-minute drive north to Lincoln Park which was perfect to digest a little. We drove by the scenic Lake Michigan and Danny pointed out some popular spots and destinations to visit along the way. We arrived at Pequod's Pizza, a very popular joint that was full of people. Luckily we always had a reserved table for us! Here we were trying the biggest slice of the day and one that they are famous for - their deep-dish sausage and pepperoni. They were even named 2018's Best deep dish pizza in Chicago. We were told the crust handle looks burnt but it's not, and it's the best part of the pizza - so we had to try it! The slice was absolutely enormous. I really liked the sauce, it was fresh and tangy and it was true - the crispy crust was the best part. I tried to tackle it as best I could, but I couldn't even eat half of it! Our final stop west was at Coalfire, where they specialised in traditional thin crust, coal-forged pizza. Their interior was trendy and modern, with an open kitchen to view into. We had a choice of choosing either their White or Lasagna pizza, I chose the latter. I still photographed both as boy, they were beautiful. I particularly liked how thin the crust was - it was so nice and light. The topping flavours combined on the Lasagna pizza was perfection and I loved the creamy whipped ricotta on top. I was officially full to the brim with pizza after that one! After a quick drive back we were dropped off downtown where our first stop was. Everyone was very happy and satisfied after an excellent afternoon of eating some of the very best pizza Chicago has to offer. If you are a pizza fan then this tour is unmissable. It was a truly fantastic way to discover the best pizza spots in town. What separates Chicago Pizza Tours from the rest is that they don't just stay downtown - we got to explore the best from different unique neighbourhoods all over the city. I loved the variety of places we went to at authentic local businesses with stark differences between each pizza styles. What made the tour all the more special was our wonderful guide Danny, he was such a fantastic and friendly guide and I learnt so much from him that day. He is a local Chicagoan and has a wealth of knowledge to share. He has been doing this tour for five years and is very passionate about his pizza! He also gave us plenty of recommendations for other great pizza joints and popular Chicagoan food to try and top things to do. This tour is perfect for all types of travellers, whether with family, friends or solo (like me) or it would even be a great way for locals to show off their city's best pizza to visitors. They can cater for allergies and vegetarians, you just have to let them know in advance. It's excellent value for money; with very generous servings of delicious pizza - you don't even need to eat anything else that day (and I recommend wearing your stretchy pants!). As a first time visitor to the city I really appreciated getting out from the centre and seeing more of Chicago. It was a very enjoyable experience and I couldn't recommend this tour enough to all the great pizza lovers of the world out there - it will blow your mind!